إن فندق Noahs Backpackers بموقعه الممتاز في هذه المنطقة السياحية هو نقطة انطلاق جيدة لنزهاتك في هذه المدينة المذهلة. يمكن من هنا للضيوف الاستمتاع بسهولة الوصول إلى كل ما تقدمه هذه المدينة النابضة بالحياة. إن سهولة الوصول من الفندق إلى المعالم السياحية الشهيرة الكثيرة في المدينة هو استثنائي بحد ذاته. إن الخدمات التي يقدمها Noahs Backpackers تضمن للنزلاء إقامة مريحة. تتضمن الميزات الرئيسية في هذا الفندق: مكتب الاستقبال على مدار الساعة, التوصيل من وإلى المطار, مرافق للشواء, جولات, خدمة غسيل الملابس. في Noahs Backpackers غرف نوم يزيد عددها عن 66 صممت بذوق وعناية لتوفر لك كل وسائل الراحة . بعضها يحتوي أيضاً على سجاد, رف للملابس, بياضات, خزنة, مرآة. يقدم الفندق العديد من الفرص للاستجمام كمثل مسار جولف - ضمن 3 كم. استمتع بخدمات لا يعلى عليها وعنوان ذو اعتبار في Noahs Backpackers . يرجى الملاحظة بأنه تتوفر أغطية لاستخدام الضيوف إلا أنه يطلب وضع وديعة. كما تتوفر المناشف للبيع. يرجى ملاحظة أن هناك تكلفة مفروضة 2٪ عند الدفع باستخدام بطاقة السحب الآلي والمايسترو والسويتش وبانككارد وإيفتبوس أو بطاقات إئتمان الفيزا أو الماستركارد. Really a little value for money.The only positive thing I can say about Noah's backpacker is that it is a perfect location near the beach.Stayed in two different rooms during my stay, which made the experience a little better. The hotel is clumsy and DISGUSTING! There is teeming with cockroach, really unhealthy. When I approached the staff at the reception they told them they knew it well and they always have problems with rooms 404 and 406. And they couldn't do that much, but the new room I was going to move into the next day would probably be better. 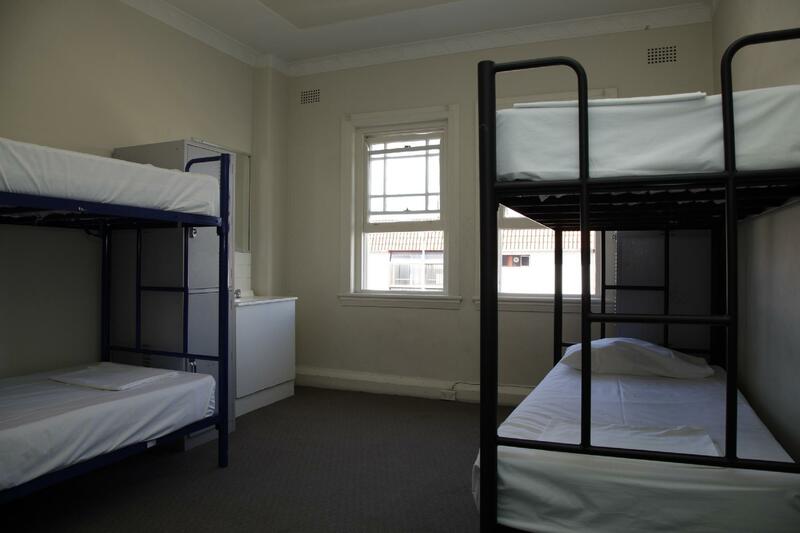 Can live with that the toilets smell of urine and that there is little dirt in the rooms. But pests like cockroach are really clammy and harmful. Definitely not a place I can recommend to anyone! We were in a double room and they just come in without knocking. One cleaning lady went straight to the sink while we were on the bed sleeping and half awake. We told her she was the third person to come in without permission. The area is very accessible and affordable however it is too noisy all the time. The bus accelerating up at the road and people having a party late night. I am a deep sleeper but the noise is way beyond. The other guests were running in the hall way and it felt like it was shaking the walls. We checked in late and the reception was just standing on the side with no ID or uniform. She did not even approached us. She’s nice but needs another supernumerary shift maybe. The toilets were ancient. It definitely needs a good renovation. All the staff I came across were absolutely fantastic, helpful and friendly. 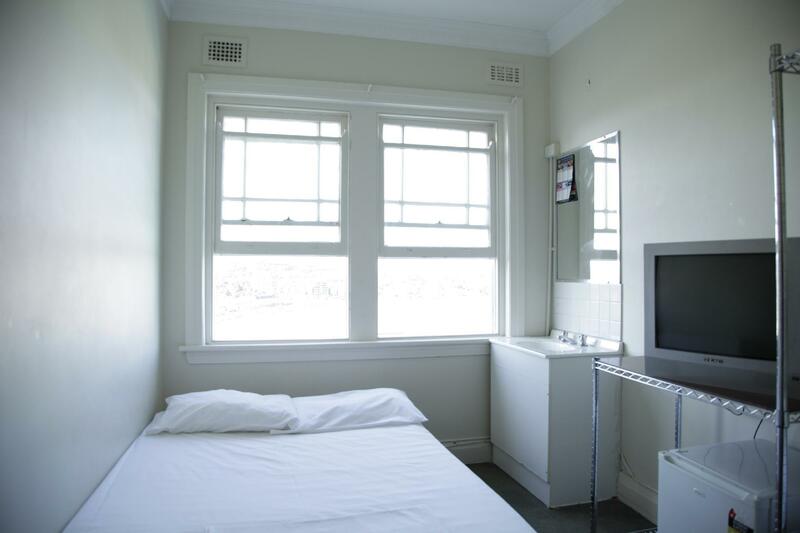 Located right on Bondi Beach with ocean views possible ✅ Shower facilities weren't the best. Only a shower curtain for privacy (which was mouldy during my stay) and lack of air con on very warm days was a bummer, but understandable for a hostel I guess. I'm not sure what a dorm room cost, but the private room was $100/night which felt a tad pricey. Free pancakes for breakfast on Saturday! Bed is not comfortable and the toilet is very small. Everything else is fine. This is the second time I am staying with Noah's and I chose the Single room with beach view so that I could have some privacy and proper rest. The room is simple but comes equipped with it's own sink, fridge, fan and a storage shelving for my things. 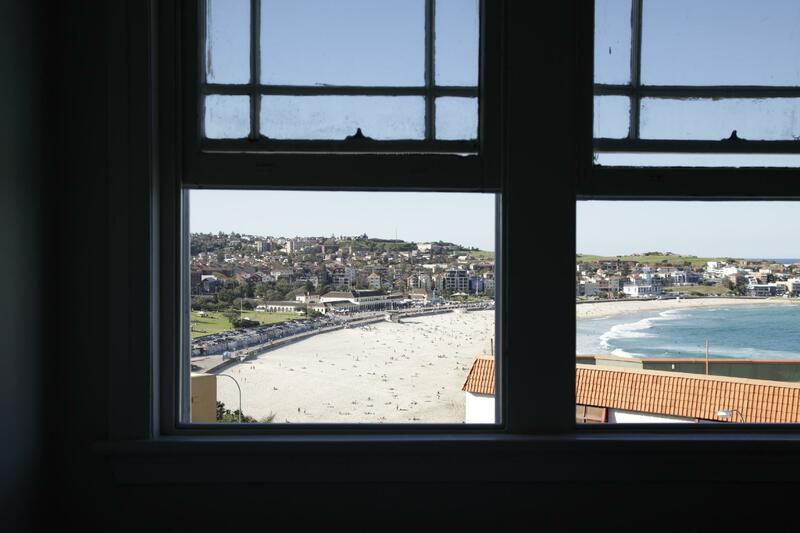 The hostel is located just at the start of Bondi Beach and being at the 3rd floor, I had a nice view of Bondi Beach (though slightly blocked by the building in front). The plus sides are convenience to the beach, bus stop, about 10 minutes walk to Woolsworth and a nice view of the beach. Some things to be aware: there is no lift so if you want to stay here, be prepared to climb up the stairs to your room. It can be troublesome for people who have mobility issues or carrying a huge luggage. The room is situated above the kitchen and rooftop outdoor space which meant smells of food cooking periodically comes into the room and you get noise till 10pm. Overall, happy and satisfied and would stay again if I am back to Bondi. 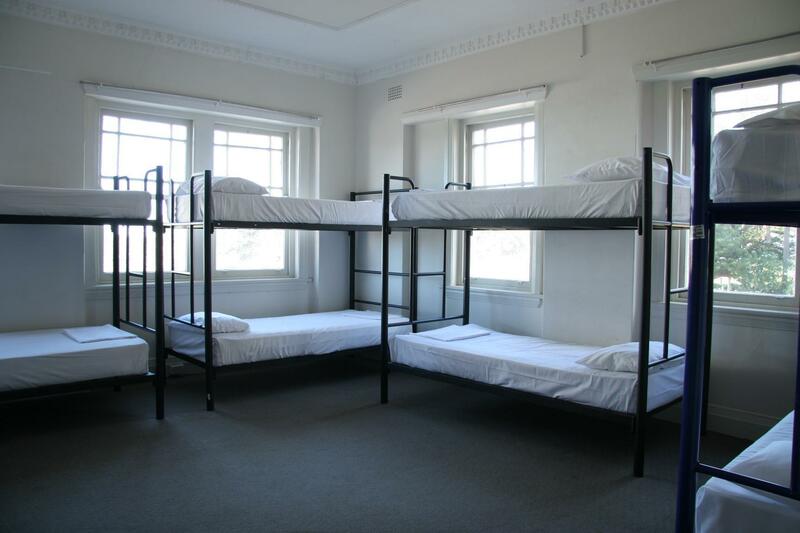 The hostel is in a good location but that is the only positive thing about it. I stayed 9 months ago and only returned because of the price and their claims of renovations but that was a huge mistake. We are now covered in bedbug bites. The staff didn't show much care and suggested we put on bug spray before bed. The next day our roommates found the back of the curtains covered in bedbugs and eggs. Because it was over Christmas and New Years we had no choice but to stay as everything was booked out. Staff claimed that they clean the rooms regularly but a girl in our room found a passport under her bed that belonged to a man that stayed there 3 months prior along with a bunch of crap left over from past guest. The kitchen is also in poor condition and most of the burners are broken. Also, if you need wifi, don't even think about trying to connect, I would rather hand write a litter than try to send an email. price is so so. some room is smell bad. and kitchen was busy. and bathroom was too small. i will no stay again. smell so bad in some corridor when you passing to your room. 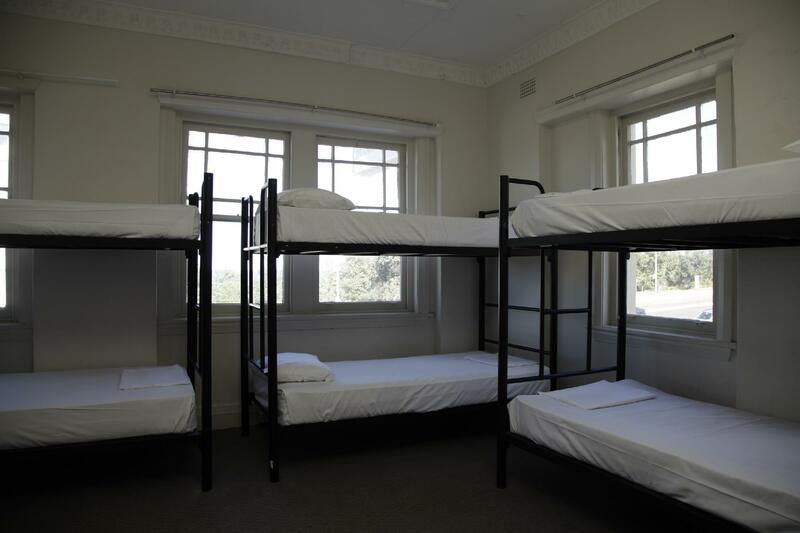 Stayed one night, best location in Bondi beach,clean and friendly staff. 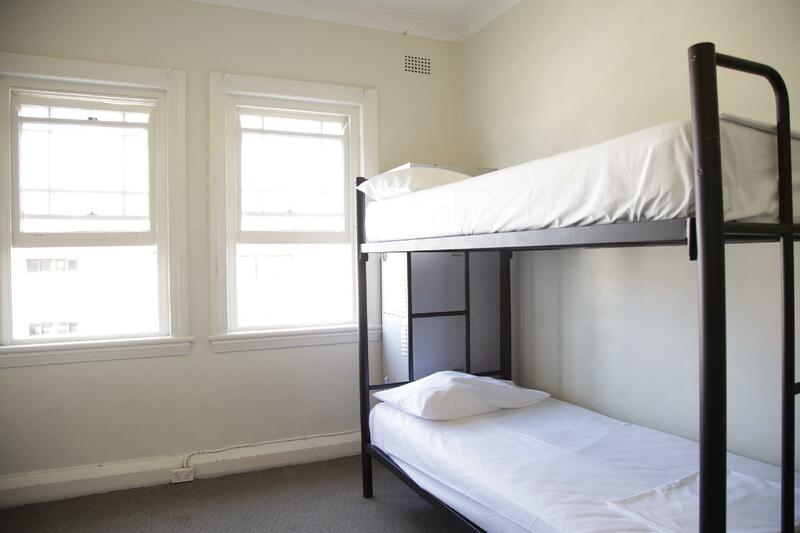 Nice backpackers, so close to Bondi Beach. It has all you need and what you'd expcect! Value for money! Booked a double private room and the room was decent enough. There was a sink, a mini fridge, a simple clothes rack and a cabinet. There was a table fan but I feel that it is too small and we really can't feel the fan on hot days. Maybe a standing fan would be better. The staff was also friendly and helpful. Good location near Bondi Beach but the double room was facing the street and right above a bar, so it was slightly noisy at night. Overall, very good. Would definitely recommend! enjoyed my stay at noahs. good location right near to everything in Bondi beach. fairly clean rooms and clean bathrooms. Only negative thing id say is they need more cutlery as most evenings i was eating my dinner with a spoon!! stayed in double bed room. normal backpackers. weekends were noisy but mostely quiet. because of winter time. kitchen was clean. shower room aloso clean. cleaner were so friendly and helpful. comfortable bed, clean kitchen and normal shower. little bit noisy at night time. at a kitchen we saw strange woman. she was totaly drunk or took druck. she tried to steal our food. hotel sais 'does nor allowed to bring cask wine'. but lots of people were drinking alcohol. does not mutter cask or not.